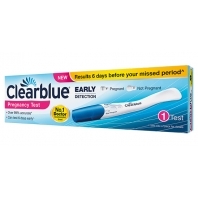 The first and only pregnancy tests First Response is sensitive enough to capture scant amounts of the pregnancy hormone, giving you results 6 days sooner than your missed period. No other test can do that. Results in 3 minutes. 2 tests in pack.